Successfully saved Braised Beef Ragu Fettuccine to your Calendar. You can also save the ingredients to your Grocery List. 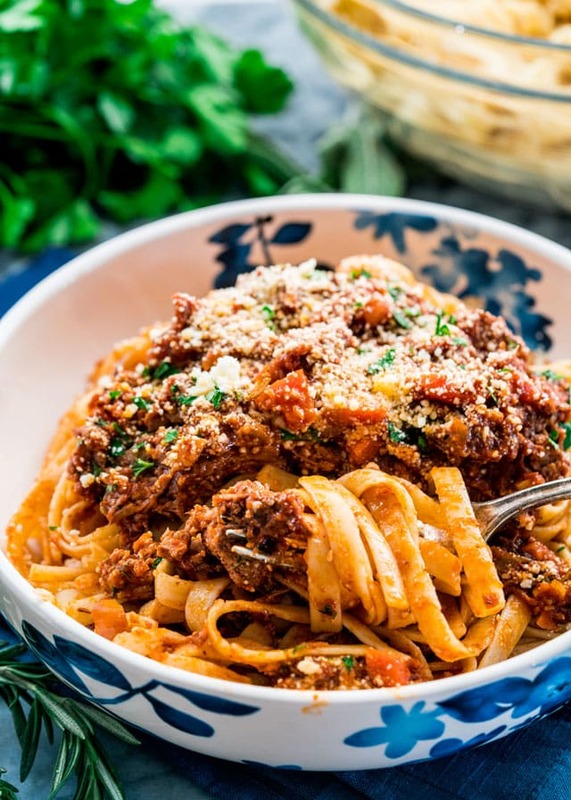 I give you Braised Beef Ragu with Fettuccine for when you need a comforting and delicious dish. This slow braised, fall-apart-tender beef is cooked in a rich tomato and veggie sauce served over a bed of al dente fettuccine.